The state of fitness as far as how it’s approached and perceived, is far too often misguided in these times today. Fitness as a concept needs to be taken and transitioned from just a simplified get fit quick scheme in peoples’ minds, to what it really is. How Much of a Priority could it be if we Give up so Easily? If we give up when the inevitable shows which turns out that it will take longer than a week. Or, we realize that our muscles are sore and we’re getting tired. The fact is, that it is Not a priority to too many of us as we often do not truly understand what fitness is. To understand it is to accept that it’s going to be a process because of how intricate a system the body is, and that there is no such thing as quick and easy when we’re talking about changing our bodies. 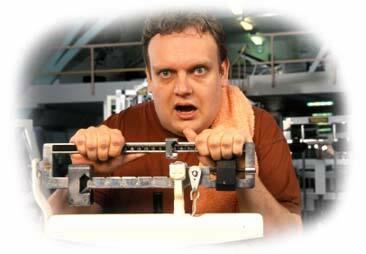 The general culture of health and fitness HAS to change. It is unacceptable to continue getting nowhere because of neglect and simplistic attitudes, when all we have to do is embrace a little bit of challenge for once and compete! Fitness needs a different style and mentality. The only style and mentality that will fit what the body requires to improve itself. It needs stubborn work ethic, confidence, and competitiveness. It needs that from it’s professionals as well as its participators. No disrespect to anyone, but I Jason Spencer AM that new brand. That unique and necessary style of professional capable of changing the perception and atmosphere of fitness for the better, and to what it HAS to be for anyone to be successful. As a NYC trainer and conditioning coach there is no one more capable, more driven, more passionate, and more fun to work with than myself. I understand exactly what fitness should be and encourage everyone to take me up on that, and allow me the opportunity to show the future of fitness. Now, please don’t just take my word for it! Let me tell you about myself and where I come from. 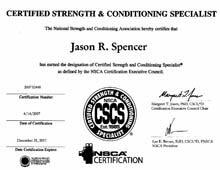 As I’ve mentioned my name is Jason Spencer and I possess unmatched enthusiasm for all things health and fitness related! It is this fact combined with my natural know how for training, and education that make me an outstanding fitness professional. My motivation for what I do is that I have the ability to INFLUENCE people and communities towards something that is without question the most valuable thing to us all. That power to influence and my passion to do it is the glue that holds it all together and drives my great knowledge and enthusiasm. 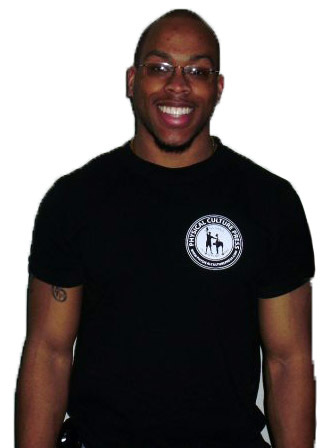 As a personal trainer and strength & conditioning coach in New York City with Posh Fitness, I possess the most distinct and credible certifications in the industry. 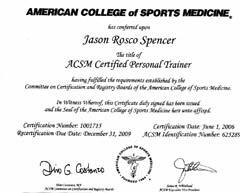 I am certified through the National Strength and Conditioning Association (NSCA) as a strength and conditioning specialist, and am certified through the American College of Sports Medicine (ACSM) as a personal trainer. I am also certified as a Flexibility & Corrective Exercise Specialist through the Swedish Institute of Health Sciences in Manhattan, NY. 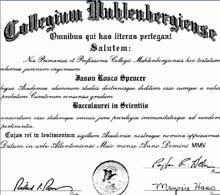 I have a bachelors degree in Neuroscience as well. I am committed to the highest standard of professional education and only want to get better and even more capable of impacting the fitness lives of anyone in need of guidance. I come from a very athletic lifestyle since childhood and as a former collegiate athlete. Fitness and training is what I do and was born to do, and i am extremely personable. My ambitions as a fitness professional are aimed at great things! I don’t do this just for money. I don’t do it to be famous, for attention, or because it’s ” cool “. My motivation has always been to do something with my life that has meaning and positively impacts others around me. So what could be a more positive impact on someone’s life than optimizing their health?!! 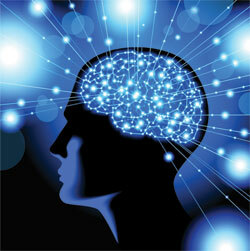 And furthermore, even greater is to be able to change the way fitness is thought of. To not only train people into shape but being a leader for them so that they learn how to stay on top of their health for the rest of their lives. That’s the big fight. Getting someone into shape is just winning the battle as they say. Winning the war is teaching and influencing them to change and maintain a great lifestyle and mindset permanently! Fitness is held back by misguided expectations and priorities as I have already explained. Those faulty expectations and over eagerness to give up come from our mental fabric, so what fitness needs is not new exercises, routines, diets, or any desperate attempts. It needs a 180 degree transformation of philosophy on the parts of the many people I have been talking about. It has to go from being assumed to be quick and easy, to being appropriately thought of as a process. A scientifically based method of achieving physical and mental results, that requires structure, organization, and manipulation. As a culture we need mental fortitude, patience, and understanding that will allow that process to play out. It takes a rare type of professional to have an influence on that level, but I am more than capable. I AM that rare professional because I understand this the most, and I CARE the most. Check out my profile and contact me!